You might have seen this database error when you accessed your wordpress website in the browser. Error shows that your site is unable to establish a connection to your wordpress database (PHP is unable to access the MySQL database). There are many reasons why you see this error, it might be due to corrupted wordpress database tables, incorrect database login details, mysql service is down etc. Follow the below steps to fix this database connection error. IMPORTANT : You must take a full website backup before doing the below steps. (Download backup of wordpress files and database via FTP to your PC before doing the steps). The issue might be related to MySQL service, if you haven’t made any recent changes in the wordpress website. Log into your linux server via SSH as root user and check the status of mySQL service. You will see database connection error on website if the mySQL service on the server is in stopped status (service is down). Run the below command to check the status of mySQL service and to start the service if it is not running. Check the status after restarting the MySQL service. On the above server mySQL service shows active “Active: active (running)”. The above commands will work on CentOS 6 and RHEL 6 servers. Try the below commands if your server OS is CentOS 7/RHEL 7.
systemctl start mysql.service –> Command to start the mySQL service if it is not running. Check the mySQL logs and the current disk usage if you are unable to start the mySQL service on the server. MySQL service will fail to start if you have reached disk or inode usage limit. Run the below commands to check the disk and inode usage. If the usage is 100% then you must delete some unwanted files on the server to free some space. Contact your webhosting provider if you do not have access to view the server error log and restart the service. You will see MySQL connection error frequently if your website is getting lot of visitors and the server is running out of resources. MySQL server will be frequently down if there any attack targeting any websites on your server. You must check the access_logs of your website to check whether it is a legitimate traffic or an attack. Do the below step to check whether the issue is related to your web hosting provider or it is related to your wordpress site. Create a new test database, database user and grant all privileges. Create a testmysql.php file in the document root of your website. Enter the new database login details in the below code (Check image below). Access testmysql.php file in the browser www.yourdomain.com/testmysql.php. If you are still getting database connection error even after using the new test database login, then the issue is related to mySQL service on the server. Contact the hosting company and ask them to check the MySQL service. You will see database connection error on the website if the database login details in the wordpress configuration file (wp-config.php) is incorrect. Check the database login details in the wp-config.php file. DB_NAME = This is the wordpress database name. DB_USER = This is the database user. You will see database error on the website if the above details are wrong. How to check whether the above details are correct ? Copy the wordpress database login details in wp-config.php file. Try connecting to the database either through server backend or by creating a PHP file with mysql_connect() function. Checking database connection using mysql_connect function is already discussed in first step. You must login to the server via SSH as ‘root’ user before doing the below steps. Try mysql_connect method if you do not have SSH access to the server. If you are connected to MySQL prompt then it means the wordpress database login details are correct. 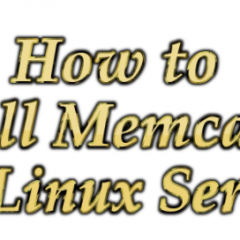 Try the below method if you do have SSH access to your server. If you are able to connect then it means the login details in your wordpress configuration file is correct. If you see the error “ERROR 1045 (28000): Access denied for user ‘username’@’localhost’ (using password: YES)” then it means the database login details in wp-config.php file is incorrect. Enter the correct database name and database user in the wp-config.php file and reset the database password. If there is no webhosting control panel installed on your server then you can try resetting the mysql database password from the server backend. After resetting the password, you must enter the new database password in the wp-config.php file. Open wp-config.php file in vi editor and update the DB_PASSWORD. define(‘DB_PASSWORD’, ‘newDBpassword’); #Enter the new password in this line. Save the file and exist after entering the new password. You can reset the database password from frontend if you have any control panel (like cPanel, plesk, directadmin, webmin etc) installed on your server. Steps to reset the site database password on a cPanel server is given below. The site will shows database connection error if the wordpress database tables are corrupted. Do the below steps to check whether the database tables are corrupted. Do the below steps to check and repair the database if you have cPanel control panel installed on your server. 5. Select the Database from the dropdown and click on “Check Database” to check the database tables. 6. Select the Database from the dropdown and click on “Repair Database” to repair the corrupted database tables. Edit wp-config.php using vi editor and add “WP_ALLOW_REPAIR” at the end of the file like shown in the picture. Now access the below URL in the browser to repair the wordpress database tables. Click on “Repair Database” and it will start repairing all the wordpress database tables (wp_users, wp_usermeta, wp_posts, wp_comments, wp_links, wp_options, wp_postmeta, wp_terms, wp_termmeta etc). 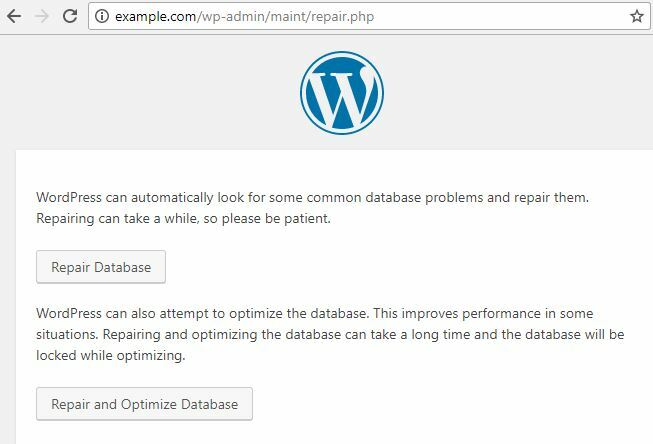 Click on “Repair and Optimize Database” if you want to repair and optimize the wordpress database. Optimizing the wordpress database will improve the performance. This option might take few more minutes to compared compared to “Repair Database” option. Don’t forget to remove the “WP_ALLOW_REPAIR” line from the wp-config.php file after repairing the mySQL database tables. You will see database connection error if some of the tables in your wordpress database are missing. When you run Database repair using WP_ALLOW_REPAIR it will show if there is any missing database tables in your database. You can restore these missing tables from the recent wordpress mySQL database backup. Most of the hosting providers keep daily, weekly and monthly backup of your website. Ask your web hosting provider to restore the tables/database if it shows tables doesn’t exit. By default the DB_HOST value in wp-config.php file will be ‘localhost’. The DB_HOST value might be different on some hosting providers. Contact your hosting provider and ask what you should enter in this field.